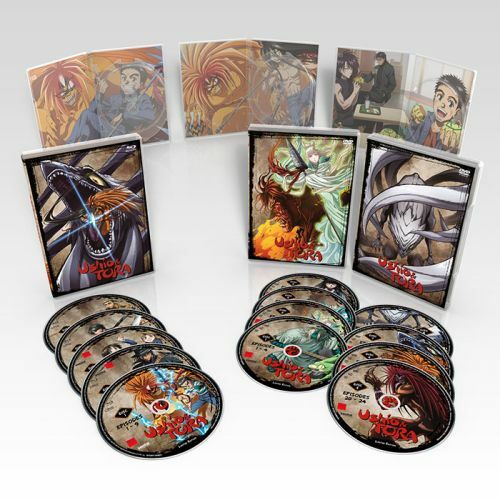 The epic saga of Ushio and Tora began like many anime stories: with a boy and a monster. However, with its gritty art style, rich character development, and heart-pounding storytelling, the tale of Ushio and Tora and their fight against the ultimate evil, Hakumen no Mono, has set it apart. Take home this action-packed adventure in one of Sentai Filmworks’ largest premium box sets to date. 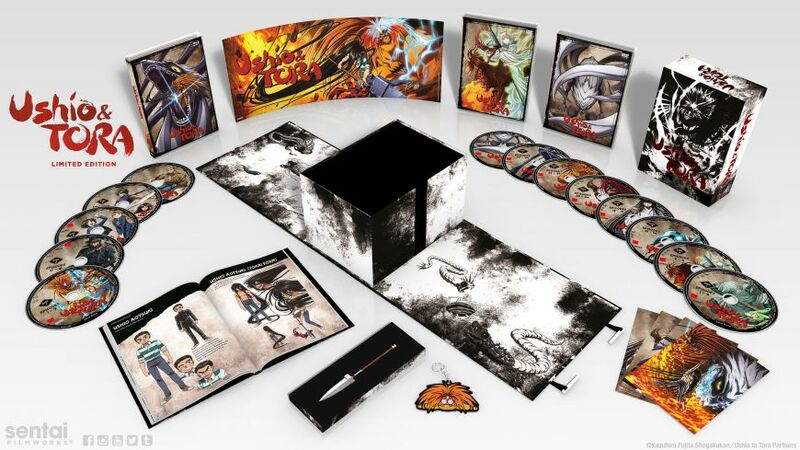 The Ushio & Tora premium box set contains ALL 39 EPISODES of the series, from the first moment Tora demanded to eat Ushio, to the last moment where… well, we’ll let you find out. The yokai are in full force on the disc art for the series. Even better, the home video release will include the long-awaited English dub, first announced in #TheDubsAreComing. The complete series is 39 episodes long: that’s 975 minutes of content. 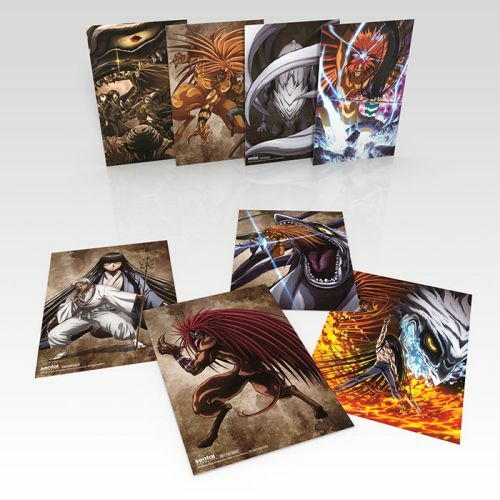 These 4’x6’ double-sided art cards feature the main cast of Ushio & Tora, poised and ready for the fight against Hakumen no Mono. 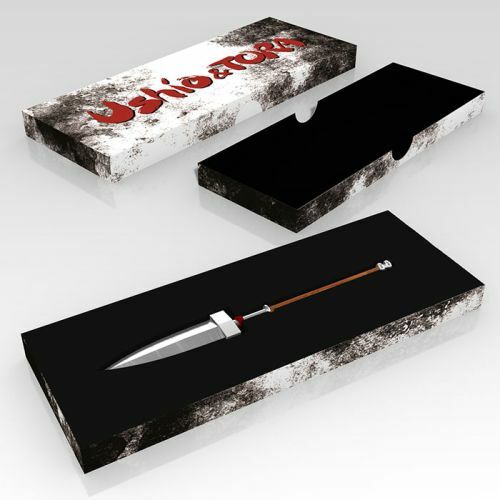 This replica features a wooden handle and a metal spearhead, accented with red linen. We don’t recommend facing against the living incarnation of hatred itself with this little Beast Spear, but this 6” little spear is perfect for everyday showing-off. Hardback and full color, get a closer look at the lives of Ushio, Tora, Mayuko, Asako, and the other humans and yokai who fought to save humanity from the impending darkness. This bold poster belongs on your wall! 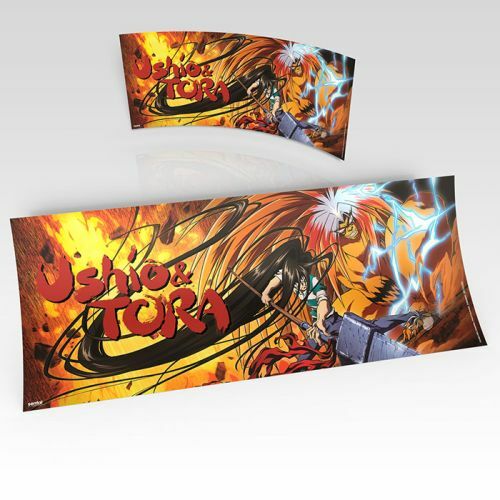 Featuring Tora and Ushio in his Beast Spear-mode, this 16”x6.5” poster will roll out to become the next addition to your wall. Let’s face it: Tora was adorable at times, mostly when he was trying not to be. 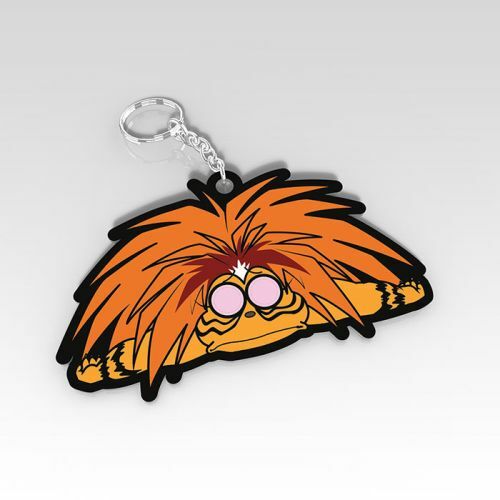 With his tsundere pout and adorable antics, we knew that a chibi-Tora PVC keychain was a must-have in this premium box set. Time is running out to get free shipping and $5.00 off your order. 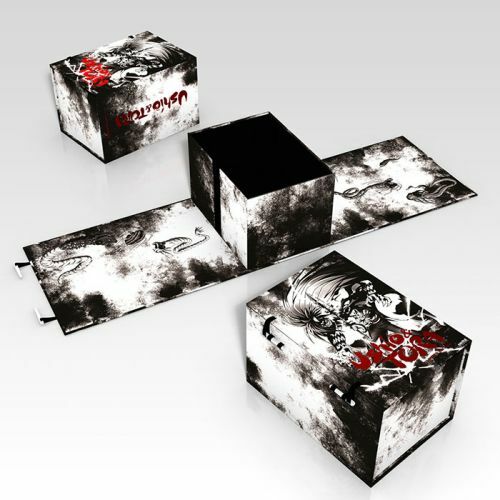 Pre-order this epic collection today!